Land Pride’s economical RB05, RB15, and RB16 Series Rear Blades are an excellent and economical choice for levelling, grading, finishing, and backfilling. They are the perfect companion for your sub-compact or compact tractor. The multitude of forward and reverse working angles, moldboard o set capability, as well as tilt on the RB16, allows the operator to work right up next to retaining walls, abutments and raised curbing. They are excellent for snow removal in the pulling or push blade mode. 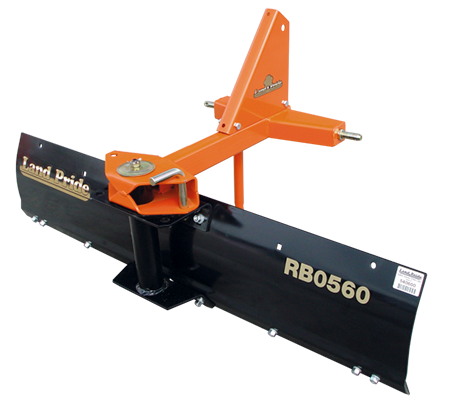 A retractable parking stand is included to accommodate easier blade removal, storage and remount capabilities.